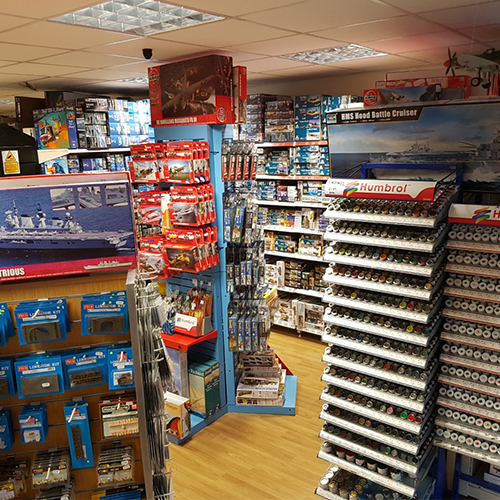 Airfix, Revell, Tamiya, Thunder Models, Italeri, MiniArt, Meng, Fujimi, Trumpeter, Roden, HobbyBoss, Hasegawa, AMT, Polar Lights, Moebius, Takom, Academy, Zvedsa, Plastic Soldier Company, Mirror Models and others. We have regular deliveries of all new releases and if a kit is still available if it’s not in stock we will try and obtain it for you. Military, Cars, Trucks, Civil Aeroplanes, TV and Movie genre. Boats and ships. Figures both military and civilian as well as old Sci Fi.